Need a fun gift for a coffee lover? 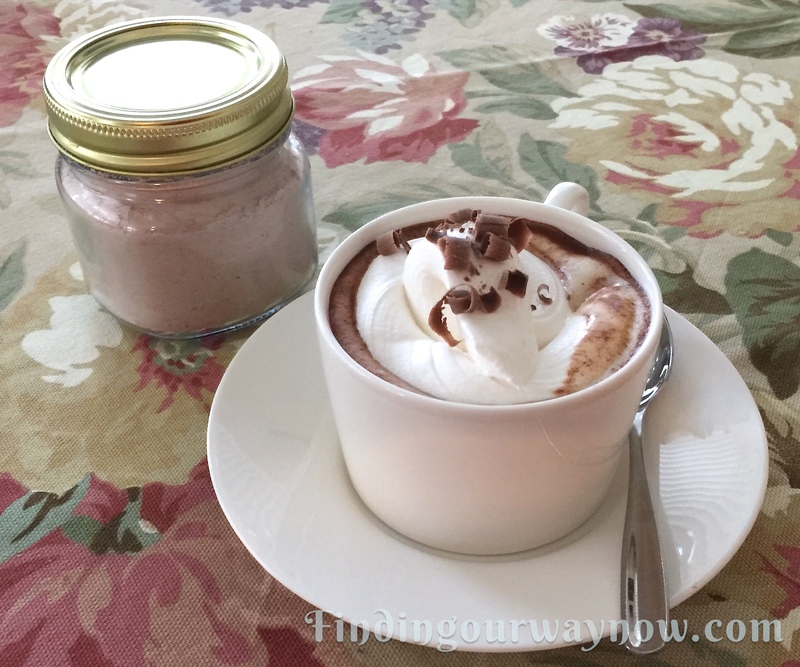 How about a jar of my Homemade Spiced Cafe Mocha Mix. Coffee and cocoa are naturals together, don’t you think? 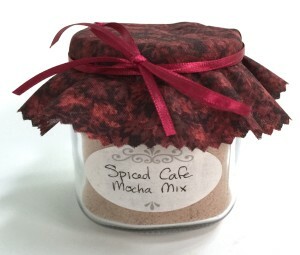 That is particularly the case with this Homemade Spiced Cafe Mocha Mix. It can be prepared in minutes, ready to enjoy and share at a moment’s notice. No more talking, what do you say we put on an apron and get on with making this delight? Place all the ingredients in a food processor and blend until you achieve a fine powder. Using a canning funnel, pour the mixture into 3 to 4 – 8oz jars, label with instructions and store the jars in your pantry for up to 6 months, if it lasts that long :-). Instructions Label: To serve, place 4 rounded tablespoons of the mix in a 12 oz. mug and fill with boiling water. Stir vigorously to combine. Top with whipped cream and sprinkle with grated or shaved chocolate. 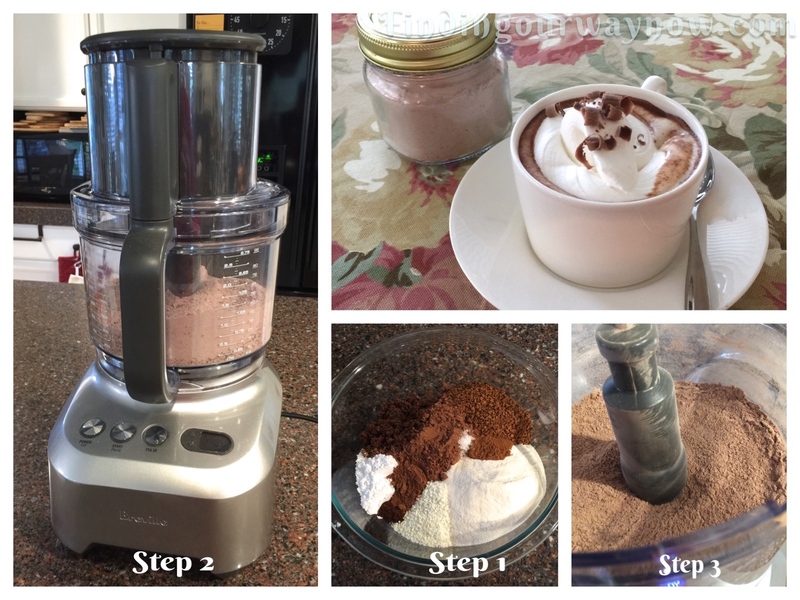 Notes: The trick to making a good cup of this mocha mix is to ensure you get the right ratio of mix to water; think 1 tablespoon of mix to 3 ounces of hot water. Play with it a bit to get it where you like it. I know you get tired of hearing it but always opt for the best and freshest ingredients you can. It does make a difference. Don’t even think about substituting the dark brown sugar for the lighter variety, it’s what gives this mix a great depth of flavor. If you can find it, a dark brown molasses sugar is excellent to use. Because of the dark brown sugar, using a food processor helps to break down the brown sugar and quickly combine everything together. If you don’t have a food processor, grinding the brown sugar along with the spices and coffee in a blender, coffee or spice grinder will do just fine; then whisk all the ingredients together until thoroughly combined. As always, you can easily double or triple the recipe if you desire. Yep, here’s another easy-peasy hot beverage mix to enjoy and share whenever you or a friend need a lift. Now you have another fun beverage mix recipe to combine with the Homemade Chai Tea Mix, Homemade Hot Spice Tea Mix, Homemade Mulling Spice Sachets and my yummy Homemade Hot Cocoa Mix for a fabulous gift basket or any occasion. All are particularly nice on a cold winter night when a hot beverage is welcome.